"Chuck's client focus, deep roots in the Bay Area and proven ability to deliver creative, cost-effective solutions make him a great fit for EPIC," said EPIC co-founder Dan Francis. "I've known Chuck for many years and am excited to have another professional of his caliber join our rapidly expanding team." Follow EPIC on Facebook: https://www.facebook.com/EPICInsuranceBrokersAndConsultants. 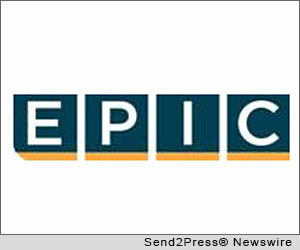 With more than $80 million in revenues, EPIC ranks among the top 40 retail insurance brokers in the United States. The company’s strategic plan calls for more than tripling revenue over the next five years ($250 million by 2018) and further expansion across the country. For additional information, please visit http://www.edgewoodins.com/. Original Keywords: Dan Francis, Edgewood Partners Insurance Center, Chuck Cushner, EPIC Insurance, risk management with a focus on construction, consumer services, transportation and manufacturing Edgewood Partners Insurance Center San Mateo California SAN MATEO, Calif.
REFERENCES: Business News, Dan Francis, Edgewood Partners Insurance Center, Chuck Cushner, EPIC Insurance, risk management with a focus on construction, consumer services, transportation and manufacturing Edgewood Partners Insurance Center San Mateo California SAN MATEO, Calif.